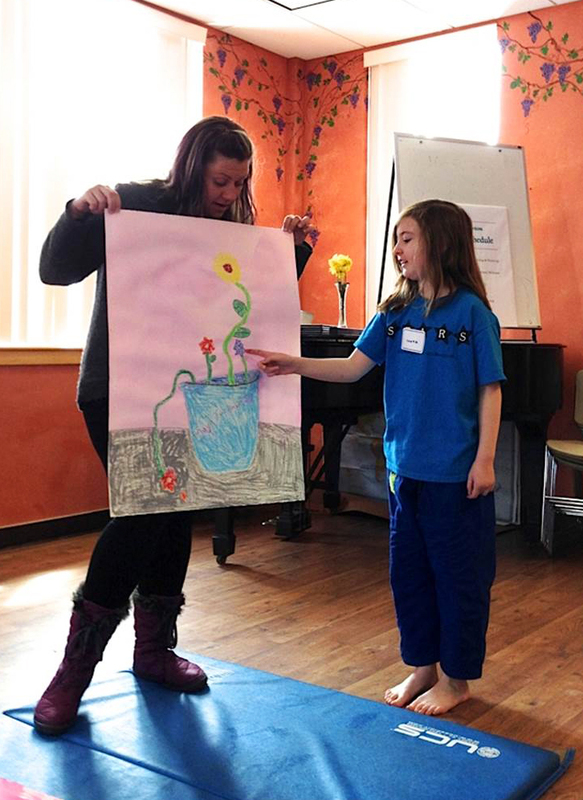 During our last Exploring Artism session in March, participants were asked to look at Vincent van Gogh’s depictions of flowers and then create their own van Gogh-inspired compositions. We began our session by looking at (and coloring) this sunflower facts handout, which identifies the different parts of the flower and when it blooms. After introductions and review of the space and schedule, we delved into looking at some of van Gogh’s bright floral paintings. 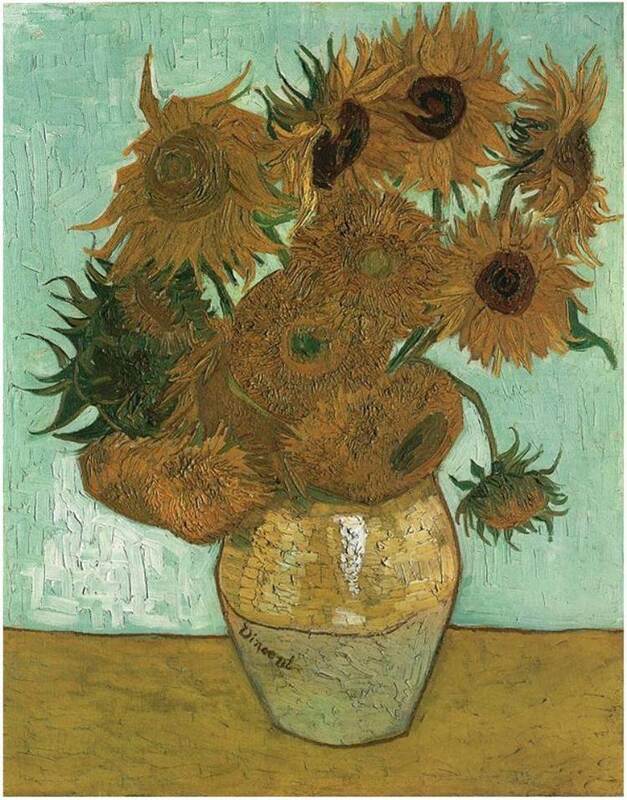 Here is the slideshow of van Gogh’s sunflowers and irises. Participants were asked: What do you see in the painting? What colors? How many? How do you think he created these flowers? What do you like about this painting? Next, using the iPad app PlayART (for purchase here), each participant was able to create their own digital van Gogh sunflower “painting.” Here are the step-by-step directions to using the PlayART app. Having created compositions using the iPads, everyone then moved to the work tables to create their own flower composition using oil pastels and liquid watercolor paint. 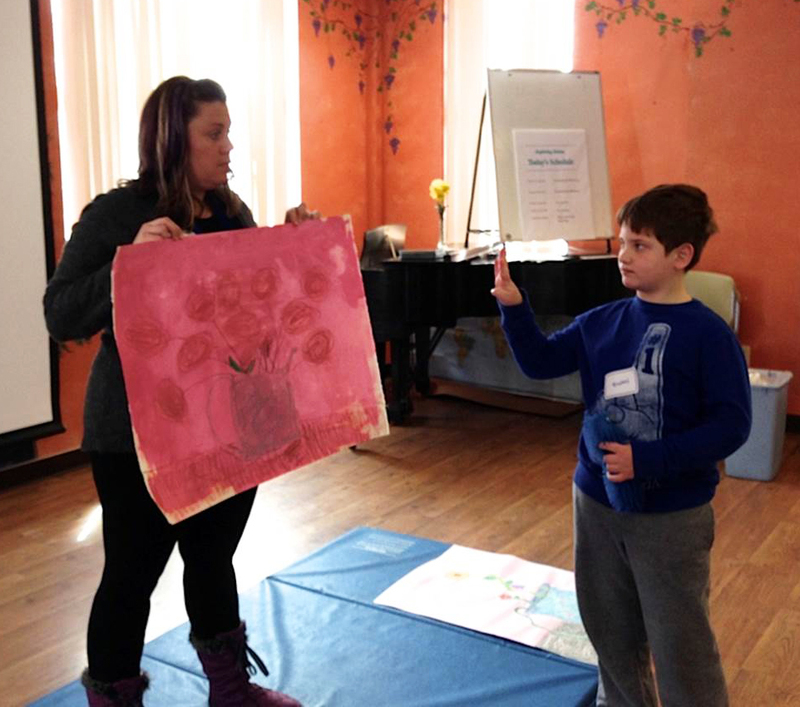 With the oil pastels, each participant drew a vase, horizon line, and flowers (coloring the center and petals). Then, using the liquid watercolor paints, everyone painted over the entire drawing, paying particular attention to the different colors used for the table and background. Participants were encouraged to use just two or three colors, since too much mixing would lead to brown/gray colors. With the remaining time, tissue paper was made available to the participants to place throughout their composition to add texture, if desired. After cleaning up, each participant had the opportunity to share and talk about their final product. TOMORROW: World Autism Awareness Day!